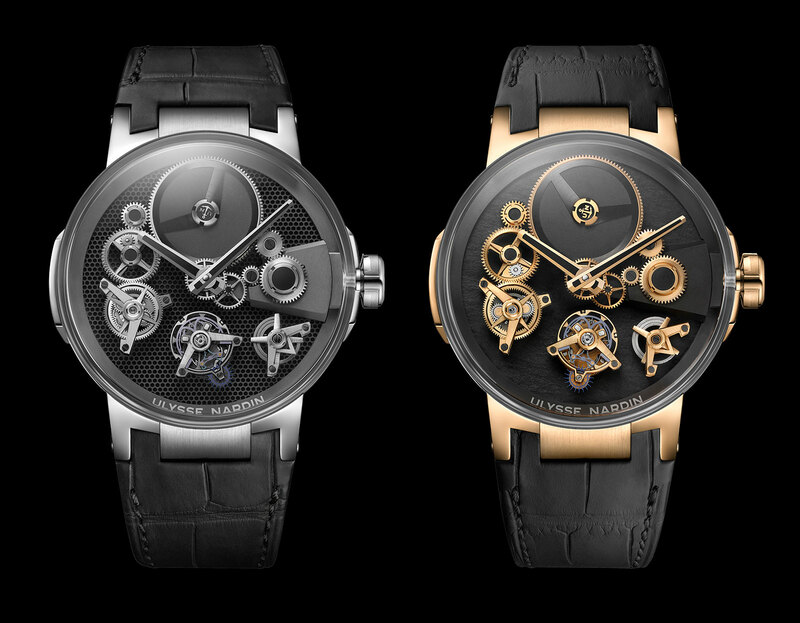 Ulysse Nardin‘s latest tourbillon is a creative and visually intriguing interpretation of the Executive Skeleton Tourbillon. 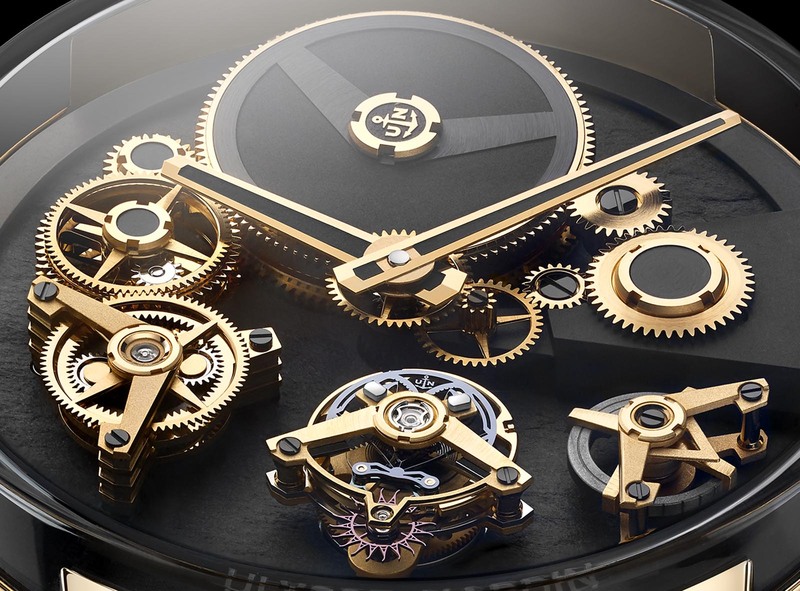 While the original model exposed as much of its mechanical complexity as possible, the Executive Tourbillon Free Wheel is even more ruthlessly pared back, with only the crucial components, such as the barrel, tourbillon regulator, power reserve display and wheel trains seemingly floating on the dial, unencumbered by any visible support. Available in 18k rose or white gold, the Executive Tourbillon Free Wheel is 44mm in diameter and features a prominent, highly domed sapphire glass, making it considerably more wearable given the slim case band, which makes it seem significantly thinner than it is. And the brand’s signature integrated, triple lugs have been slightly modified for a more streamlined profile, with a broader, brushed center lug flanked by thin polished outer lugs. 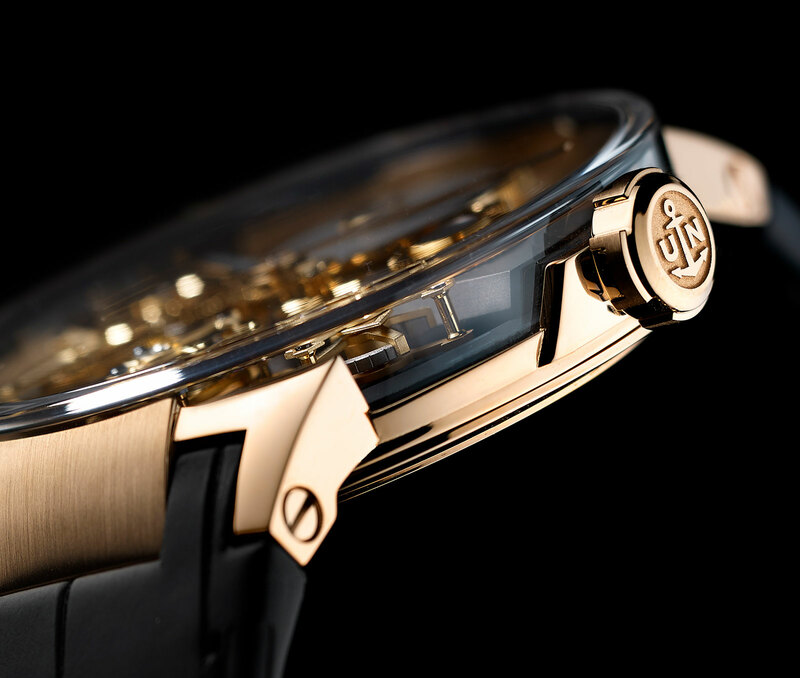 Underneath the “box-shape” crystal is a black dial made of black slate stone on the rose gold model, or a black honeycomb grid dial for the white gold version. 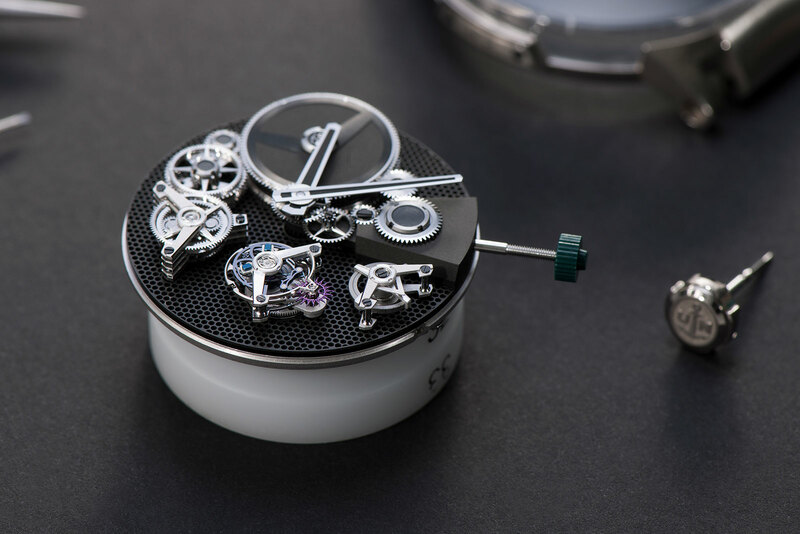 The dial forms the stage on which the gears sit in an elevated position, along with several boomerang-shaped bridges that support the tourbillon and power reserve indicator. Most of the vital moving parts, including the large barrel at 12 o’clock, appear to hover over the dial. 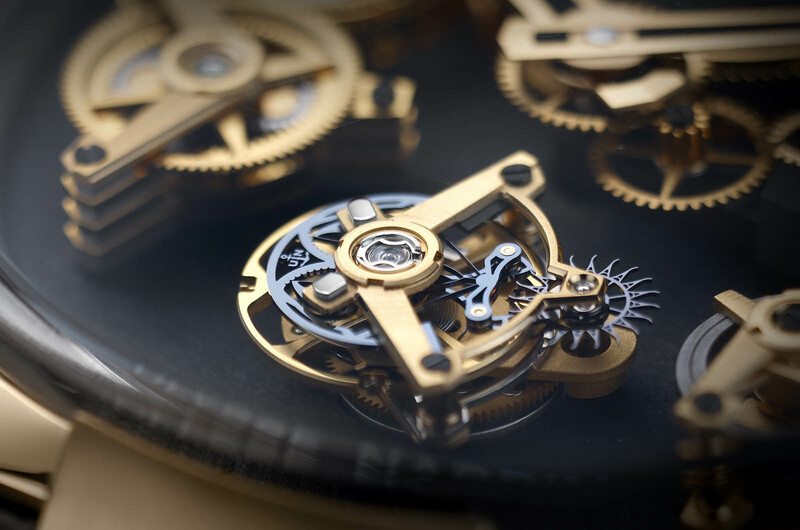 As a result, while it is fitted with a sapphire case back, the back of the movement is essentially a full plate, virtually blank save for a few jewels set in gold chatons. 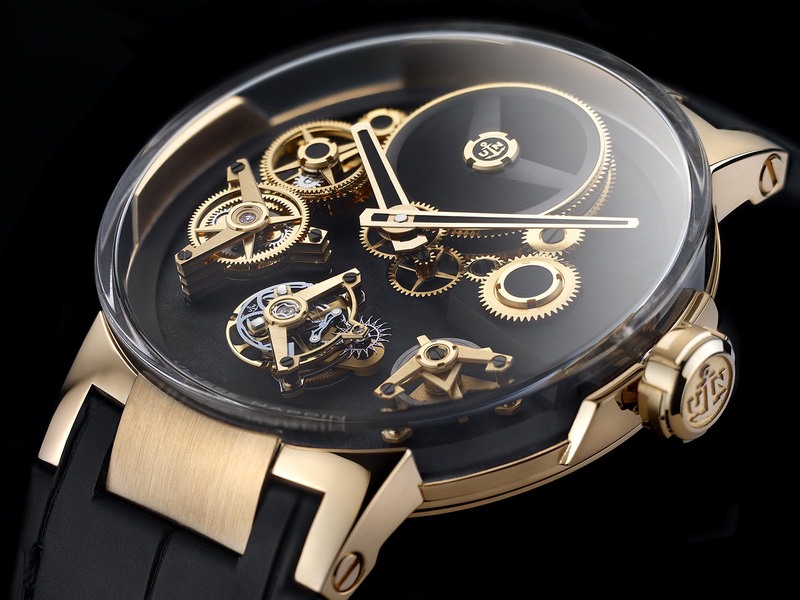 While the display back may lack detail, the movement is notable. It’s the newly developed, in-house and hand-wound UN-176, which offers an impressive seven-day power reserve. And the flying tourbillon is naturally equipped with Ulysse Nardin’s hallmark anchor escapement, made entirely from silicon. 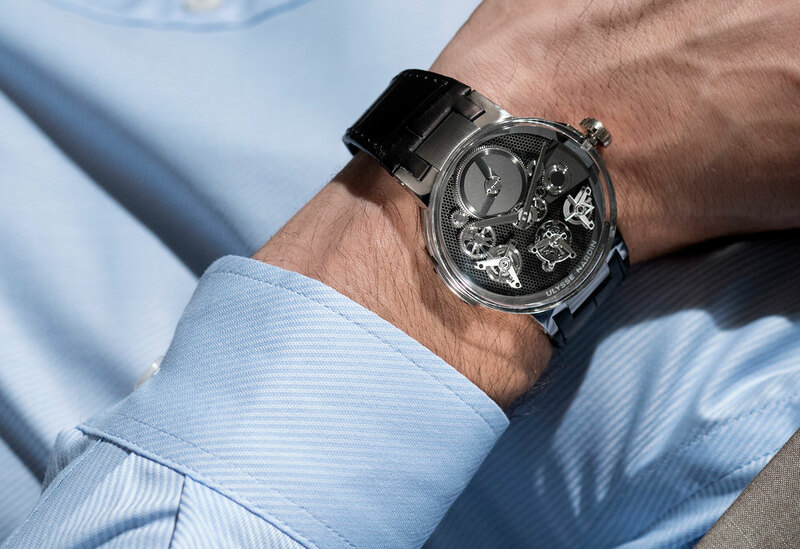 Like Girard-Perregaux’s Constant Escapement, the Ulysse Nardin Anchor Escapement relies on the unique elasticity of silicon to provide constant force. It consists of a circular silicon frame that holds the lever in place. And instead of a pivot, two perpendicular, buckled blades of silicon on both sides of the frame converge at the pivot point of the lever. Both the buckled blades flex between fixed ends, ensuring a very precise and constant transmission of action between the escape wheel and the balance regardless of the torque from the mainspring. 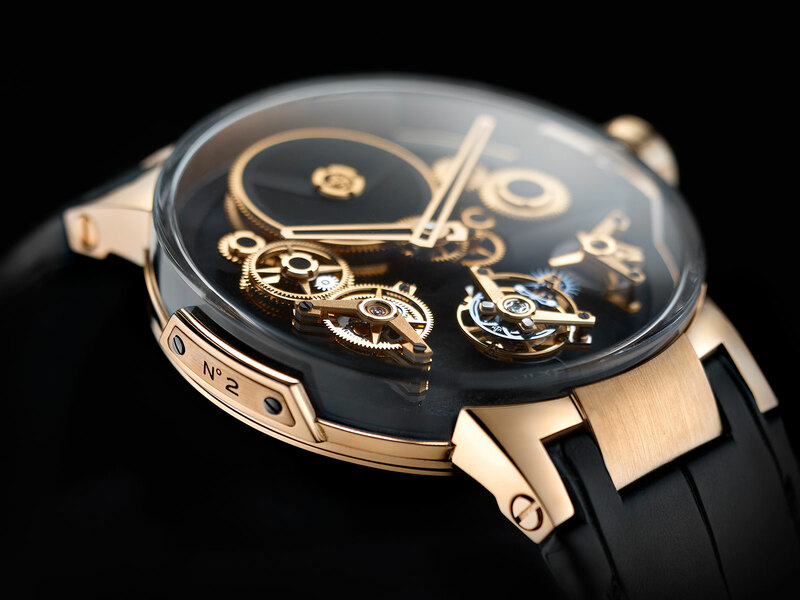 The Ulysse Nardin Executive Tourbillon Free Wheel in rose gold (ref. 1766-176) is priced at US$96,000 or S$147,700, while the white gold version (ref. 1706-176) is US$99,000, or S$152,300.